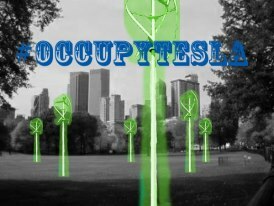 #OccupyTesla is a movement which researches, spreads and educates people about technology and new methodologies of resource production that are green and sustainable. The main visions and goals pertain to using technological advancements as a means of restoring balance to Earth by changing the way people do things.At this point many may wonder; who is Nikola Tesla? Nikola Tesla was an inventor who developed AC electricity, Wireless electricity, X-Ray technology, Electric Motors, Flourescent Lighting and hundreds of other inventions in the late 1800s and early 1900s. Tesla was not interested in monetary gain, his work as an inventor was geared solely toward uplifting society. We dedicate our work to Tesla and his dream of a world in which people could live free and plentiful! What we aim to do is simplify the political process by assisting society with the introduction technology into different sectors. So while there are many groups across the world working on fighting for better political, social and economic systems #OccupyTesla will make a great attempt to ease the metanorm. Educating as well as facilitating technology to accompany the types of changes we all wish to see in the world brings us great joy and hope for the survival of life on Earth.Within human society there are highly consequential environmental factors produced that affect the quality of air, water, soil and health, making Earth dangerous for living beings. Though some of these environmental problems can be solved politically by placing taxes, fines, regulations and bans on pollution, it is of greater benefit to reform the maners which resources are acquired.To assist those wishing to solve environmental issues we will offer solutions of cleaner and sustainable technology and/or methodology to individuals and groups rather than asking someone to create the solution. Concerning Agricultural pollution, rather than pollute the air, soil and water with pesticides and fertilizers we may offer Agriculture that is grown hydroponically, aquaponically, vertically and organically. This may apply to all sorts of different social, economic and political issues that humanity currently is experiencing. Some if not all of our problems may be solved with better technology and methodology across all sectors. There are many reasons that #OccupyTesla exists today; humans have an insatiable hunger for knowledge! Some say that what sets humans apart from other animals is the opposable thumb. As many animals have opposable thumbs, this is very easy to rule out. What separates humans from other animals is how the human brain responds to learning. Dopamine is a chemical in the brain that neurons use to communicate. Every time a human learns something new, the brain releases a lot of dopamine. Yes, humans are actually addicted to learning! I’m willing to bet that you, dear reader, are feeling that tingling sensation NOW. There is a great Cultural Renaissance taking place, this very second, all across the globe. People are engaging in actions and conversations concerning a myriad of diverse subjects in an effort to influence the social, political and economic sectors that keep humanity together. 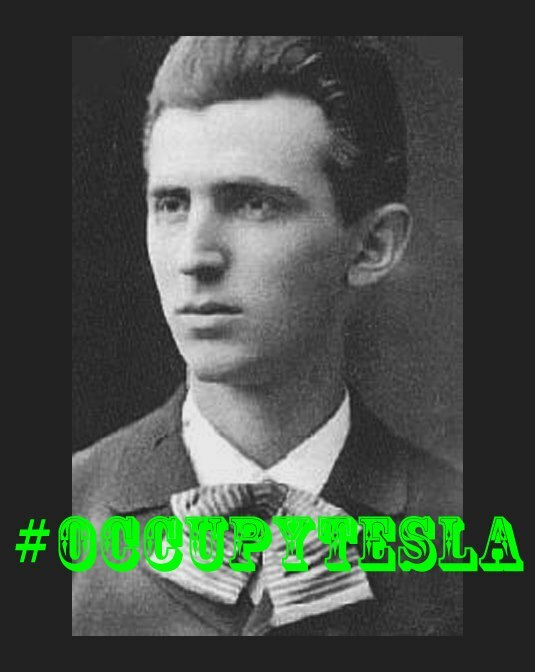 #OccupyTesla has a few main goals; to educate, to empower and to implement solutions to adversity by introducing greener, sustainable and more cooperative methods and technologies for resource production.This revolution can not succeed without education, this is the most important goal of them all. Education truly is the key to this movement, without it we will be left with the same adversities we are currently facing. A concern of ours is that people are normally ready to receive this knowledge but are not prepared to use it or extend it onward to the next person. Let’s build a society of critically thinking individuals by being the first to step up to learning, implementing and teaching one another. If not us, then who?We can not succeed without an educated populous creating solutions to our problems. 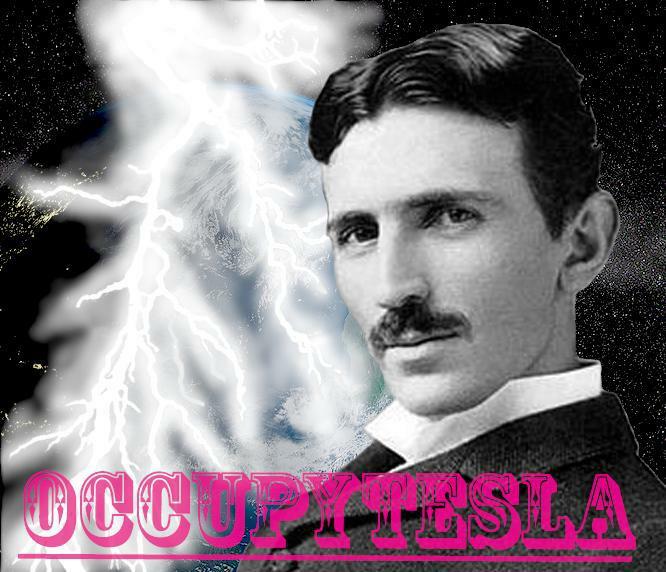 So in order to effectively #OccupyTesla all one has to do is create solutions! Creating solutions is not such a difficult task as human beings are always thinking and create manners to make daily life more simple whether at home or on the job. To create a better present all that is needed to begin is to find out what people need and why it is so necessary. Using these two pieces of knowledge better allows inspiration to come into fruition. Bringing solutions found to the very people who need them will bring a major amount of support from these types of people and/or groups. It is highly recommended to speak with all people who may need specific solutions about creating a better present for all people! Acquiring the support needed from people may require prototypes, planning, networking and many other forms of work yet all are necessary to inspire others! When making better food speak with farmers and/or cooks and when making better education speak with teachers and students, common sense shall always prevail and great ideas will always have great supporters. Overall the greatest manner of getting support is to teach your friends, family and community that all things are not as difficult as they seem. 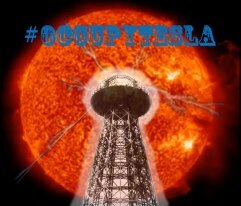 #OccupyTesla is designed to be a network for amazing ideas though amazing changes are not held only within our web pages or forums. Perhaps you have an amazing idea that may change the way entire sectors of society are built or ran. Unleash your ideas within the forums, with your friends and family, at your school, job or on the streets. Making connections and not being afraid will lead you to glory. If you do want to use an idea presented herein these pages and forums then by all means go ahead! This website is an important open source information center on changing Earth! If you would like to use some of the ideas found here yet need help building then perhaps there is a way we may be able to help you out if you simply ask. The betterment of humanity is truly the ultimate goal! Why Should I #OccupyTesla? There are individuals all over the world striving to ahcieve the spread of knowledge pertaining to technological solutions and the many ways they may benefit our society. There are so many different things that may be improved in our daily lives that it is overwhelming, so why aren’t more people introducing it? As stated in another article; all it means to #OccupyTesla is to research, educate and create or implement solutions to the problems that we face. You may be wondering, “What does that have to do with me? Why doesn’t the government change things?”. If you are a person who has become an expert in a certain field then you are likely the only person that can solve the problem! What if the government doesn’t have the answer or is too busy to address the problem? What if the true issue is that people are more concerned with looking for a job than they are concerned about creating and revolutionizing an industry? As people who are educated don’t we waste a lot of the knowledge we have been taught in order to accept a career? The only way to change the world is for you to make that change, that is why we #OccupyTesla.Let us take a walk through what we will call the “Great Eight” sectors of human society, these are a list of industries and necessities for human life. The Great Eight is comprised of Water, Air, Agriculture, Energy, Education, Healthcare, Housing and Infrastructure.Water and Air are essential elements for all life on Earth. The natural cycle of Earth’s ability to replenish land with fresh water can not keep up with the current manners in which humans use water. The rate at which humans pollute both Water and Air are unprecedented and extremely dangerous. Water and Air are two elements that not only other Earth species require but humans do as well, humans have forgotten that they too are a biological species of Earth. If the species does not hold itself accountable for this problem then Earth will no longer be able to sustain any life at all. Agriculture and Energy, two systems that humans have created in order to build and upkeep larger societal structures. Today’s practice of cultivating and using these resources are not sustainable in any manner, they not only require water and air but also destroy them upon using it. Though it is commonly discussed that the air is highly polluted and unhealthy for life it is not common discussion that Earth’s water supply is far worse. Agriculture practices, though requiring a large amount of water, are among the top water polluters! Human society’s resource creation is the largest factor in destroying healthy habitats. Education and healthcare are the very training and care systems that keeps human beings alive. Education has taken a nose dive in many societies as critical thinking and creativity have been replaced by memorization and strictly ordered thinking. Healthcare in most places has regressed into medicinal care, dangerous chemicals that harm humans much more than they heal. If only people were educated enough to think critically then they may practice better healthcare techniques and if creativity were more advocated then perhaps other aspects of the great 8 may be changed. These are the core structures of human society as it is these that determine the continuation or degradation and destruction of society. Housing and infrastructure may be described as dwellings and the systems that provide human resources to them. Housing is extremely unsustainable as this usually pulls many resources that require more time to be generated than housing is able to retain it’s structure. Infrastructure has the same problem and is more likely to be damaged and irreparable as it ages. There is nothing sustainable about these society structures at all. This was authored to illustrate the importance of discovering solutions. To reiterate, if you do not find and implement solutions to these problems then you are partly responsible for the consequences, no matter what those consequences may amount to. No matter what other problems may exist this is where all of those problems begin. Don’t put this off and hand the problem on to the next person, it will be the downfall of our existence. Building The Present In order to create a better present, it is necessary to utilize a great network of people whom individually have great knowledge in their line of work. This means that collectively there are no pieces of knowledge that may not be attained and no part of society that may be left out. Without a network of people able to combine information, from diverse perspectives, shaping Humanity’s Future becomes far less efficient. Efficiency is of great importance due to the fact that time is running short in the current ability to sustain Human Society, not to mention that each passing hour further threatens all life on Earth with extinction.To better understand why creating a better present requires the help of all people, you must look within the current needs of Human Society. Humans have great necessity for food, water, air, healthcare, housing, energy, education, and infrastructure. These 8 necessities require a lot of attention, time, and work in a fully functioning society and many Humans already work or have worked in a profession which provides or has an affect on, such important resources to society.Without the help of all people of diverse knowledge, putting effort into working as a whole, society collapses. Human society across the globe is beginning to collapse due to a myriad of factors. Economically, sustainably and environmentally the human race is failing to ensure the survivability of human society and life on Earth. It is currently time for all of Humanity to come together and rebuild society in a new manner utilizing the talent of all people. Earth is our only home. It is the past, present and future of not only our species, but billions more. No longer must we leave it up to someone else to solve our problems. The human race should no longer consider itself civilized until the mass genocide of Earth’s organisms cease to exist, even if this genocide is an accident. There are no others to blame but ourselves, taking responsibility for your mistakes reaches further than your personal footprint; for the mistakes of your species may completely cancel out your individual changes. The only way to succeed and sustain life will be to transform human society.